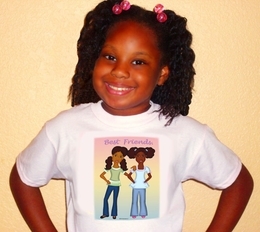 Charmzworld – Great Gift Products for African American/Black Girls | Afro Puffs and Ponytails, Inc.
Charmz was conceived in the mind of Aqua C. Nixon, President & CEO of Charmzworld LLC. One day while she was shopping for Valentine’s Day cards for her older daughter to hand out to her Kindergarten class, she couldn’t find anything she liked. 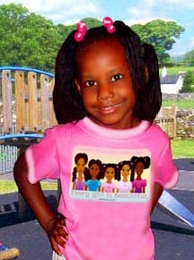 She was surprised to find that there were no cards that featured an African American girl. 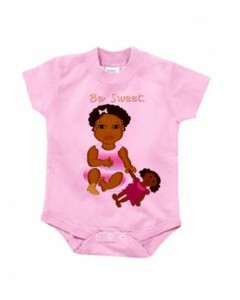 She noticed that most brands may have one African American character in their product line, but they are not featured in their most popular items; and they are very hard to find. Discouraged, she decided to buy cards with butterflies instead because her daughter likes them. Her thought was, “If the cards are ‘from’ my daughter, they should reflect her in some way.” So she decided, being a painter & graphic artist, she may be able to create something for her daughter on her own; characters that both her girls would love and identify with. She wanted her girls to be able to walk into any store and find a brand that featured characters who look like them. She had found her inspiration, so she sat down and began to draw…and the rest is history! I remember seeing this on Myspace a few years ago. I would love to collaborate on some tings with. 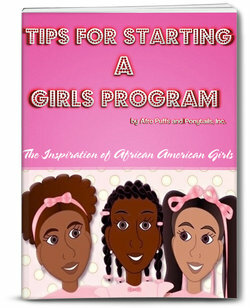 Charmzworld is such a self esteem booster for girls. Nothing like a little princess…..